There will come a time when I start making my own tofu and tempeh. But until then I have to buy them both at the store. 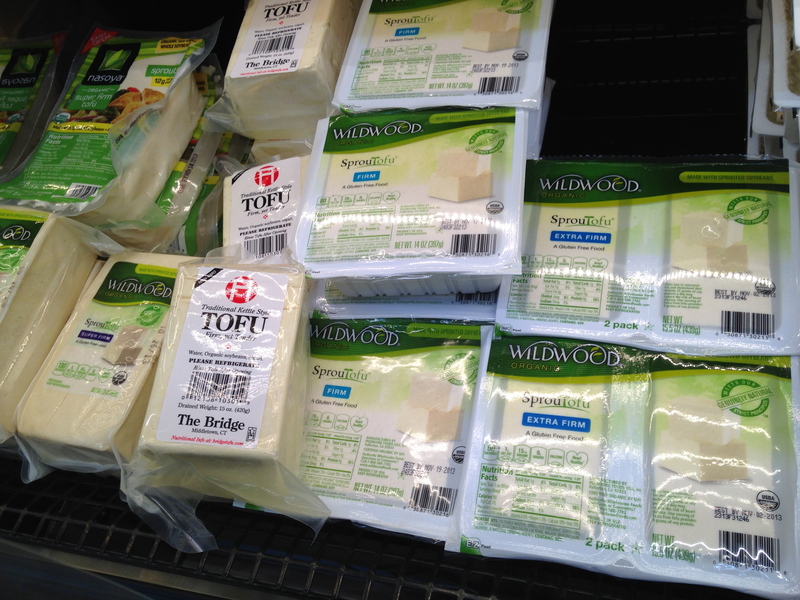 Tofu is a terrifically versatile product. I love to marinate it, bread it, bake it, mash it, scramble it, and even sneak it into a sauce or two. It is light and has a delicate mouthfeel. Think of it as a great sub for eggs, chicken and fish. Tempeh, a product also made with soybeans, is a totally different entity as it is fermented. It is thicker, chewier, and meatier than tofu. I like to marinate it, bread it, bake it, and crumble it. Think of it as a sub for red meat. 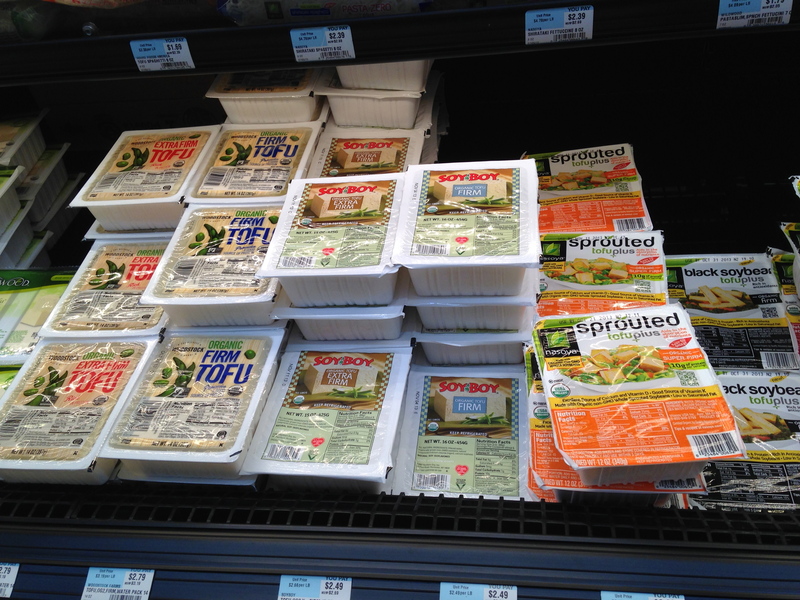 Look at all of that tofu! This is in my local health food store. So many to choose from. So, for me, when deciding which tofu to buy, I look for the most important thing: that the label says Non-GMO. That means the soybeans are NOT genetically modified. The Non-GMO Project verifies that soy products are in fact non-GMO and lists products that have enrolled in the Product Verification Program on their site. When I buy tofu, my number one choice is Soy Boy. If I can’t find it, I buy Wildwood or Whole Food’s 365 Brand. When I buy tempeh is it either LightLife or SoyBoy. 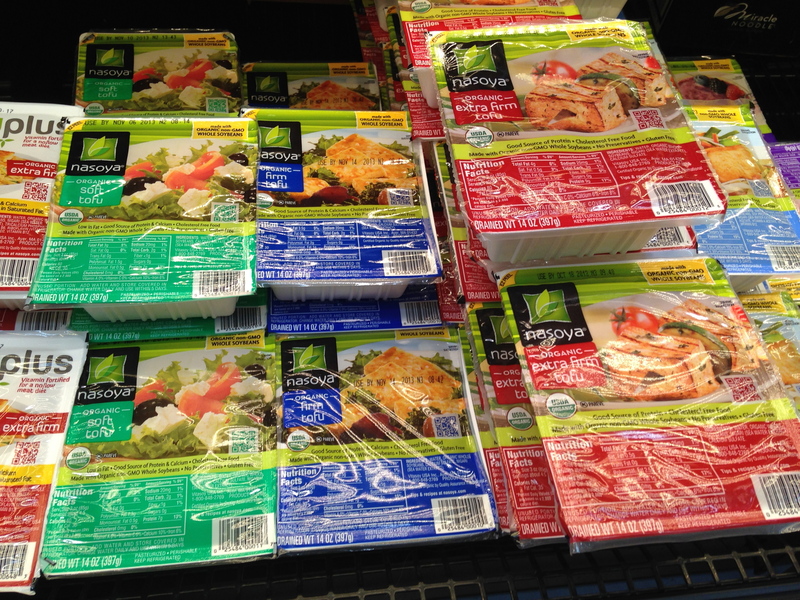 Check the labels and get cooking!